Pearls are formed from a foreign body that has made itself home inside the shell of a mollusc. The mussel, oyster or clam then secretes a substance called nacre around the irritant, crafting a hardened sphere of opalescent layers. For centuries, we have harvested these jewels as a symbol of decadence and wealth; a highly prized gem to be cultivated in the art of dress and adornment, cloaked in romantic mythology. Many a starry-eyed fable has been woven: Cleopatra dissolved a single pearl in a glass of vinegar and drank it, simply to win a wager with Mark Antony that she could consume the wealth of an entire nation in just one meal. The ancient Greeks told of the iridescent globules as symbols of love, believing them to be the tears of joy shed by goddess Aphrodite. 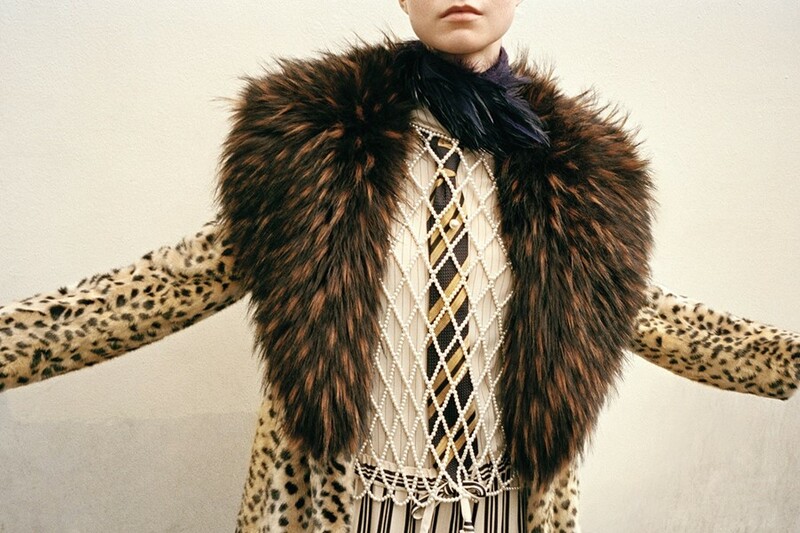 As Dries Van Noten said of the pearly string vest: “it is inspired by the lustrous lives of the Marchesa Casati and Gabriele d’Annuinzio, two renowned Italian eccentrics who shared a passionate love affair”. And there’s just something about this piece, which is created from a latticed network of the semi-precious gems, which conjures an apparition of Marchesa and Gabriele, entwined in a hazy, champagne-soaked embrace. Pair yours with cashmere, satin and silk – or nothing at all.